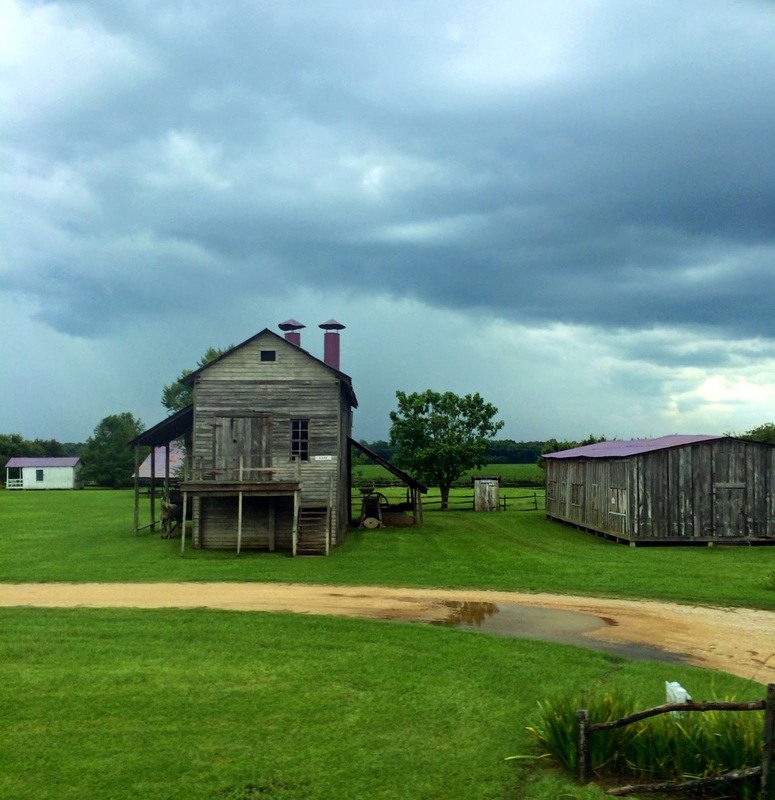 This is a photo of the Frogmore Cotton Plantation & Gins in Frogmore, Louisiana just before the sky opened and rain doused the cotton buds. 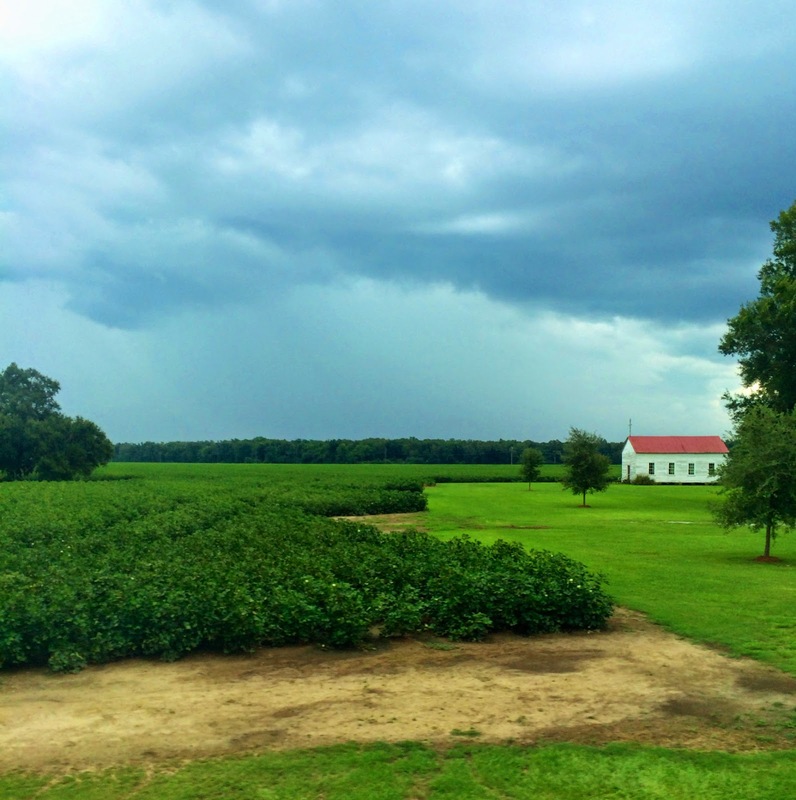 This 1,800 acre plantation has been around since the late 1700s and still produces cotton today, although now it's gathered through modern means. We've passed by many times and one day I hope to be able to stop and see the entire operation. It's considered a "must see site" by Rand McNally and has been featured in Southern Living Magazine, among others, and was also the subject of several PBS documentaries. The cotton gin - which is short for "cotton engine" - was invented by Eli Whitney as a way to take the seeds out of the cotton. It helped increase production of cotton and allowed the plantations in the south to rapidly expand. Before the cotton gin, it would take one person and entire day to separate the seeds (by hand) from one pound of cotton. A job not many people would be happy doing. Although I like the idea of them giving tours to keep alive the history of places like this, I think the smiling white woman and her laughing young son, seen in the home page slideshow sitting among the cotton blooms, "picking" them with a smile, isn't really the best representation for an industry with such a dark history.